What Are US Strategic Bombers Doing Snooping Around Russia’s Arctic Borders? 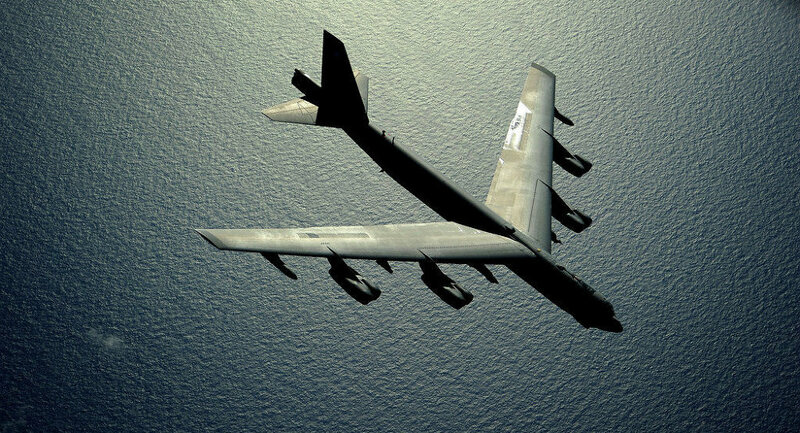 In early August, US Strategic Command confirmed that several USAF B-52 bombers had performed long-range drills over the North Pole and Alaska into the North Sea, from where they skimmed along Russia’s maritime Arctic borders. For their part, Russian military analysts have been pondering exactly what to make of the US moves. On August 1, Stratcom announced that five US strategic bombers had recently carried out long-range exercises, several of the planes flying over Russia’s Artic borders. According to the US military, two B-52s flew from the US mainland to the North Pole, after which they turned in the direction of the Norwegian archipelago at Svalbard, before going on to skirt along the border area of Russian Artic territories, including the Franz Josef Land archipelago, Severnaya Zemlya, the New Siberian Islands, and Wrangel Island. Commenting on the exercises, Russia’s RIA Novosti news agency pointed out that the US bombers’ trajectory coincided with areas where the Russian military has been engaged in a defensive buildup recently. At the same time, the journalist noted, “the US did not exactly advertise” their moves, “officially informing Moscow only of the flight of the B-52s from North Dakota’s Minot Air Force Base to the North Pole, and then to Alaska and then back to base.” In fact, he pointed out, the bombers spent up to 20 hours in the air, refueling 26 times, using fifteen KC-135 and ten KC-10 tankers to do so. An airman secures an Air Launch Cruise Missile (ALCM) during a maintenance inspection aboard a B-52H Stratofortress, at RAF Fairford, UK. File photo. Nevertheless, the military analyst noted, the US strategic bombers’ flight remains significant, precisely because “this is the first move of this kind by US aviation near Russia’s Arctic borders” in recent history. Commenting on the presence of US bomber aircraft in the region last week, the Russian General Staff made it no secret that the appearance of any foreign aircraft over the skies of the Arctic, whether civilian or military, is being monitored by Russia’s air defense forces. 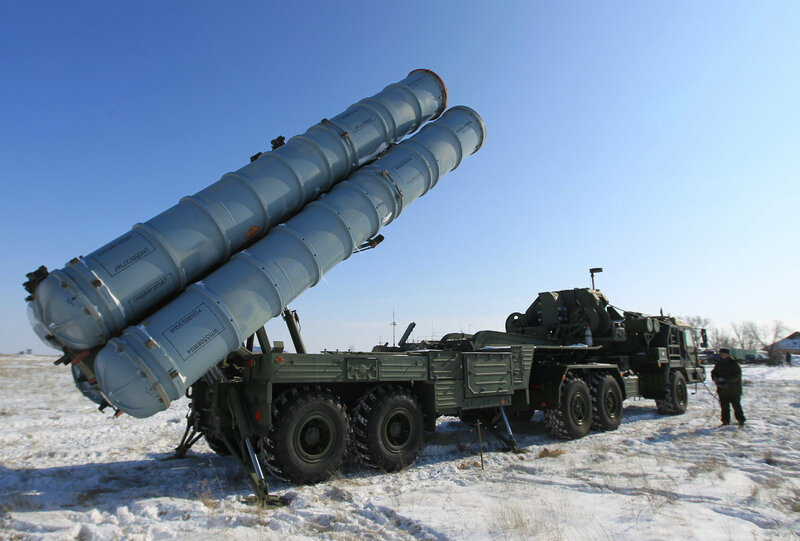 S-400 Triumph (SA-21 Growler) air defense system setting up for launch. File photo. And there are other air defense systems in place, including the Pantsir-S1 combined SAM and anti-aircraft artillery system and the Bastion coastal missile system. “Missile-based coastal defenses, SAMs and rocket-artillery units and subunits are on combat duty in other Artic islands, as well as in some continental areas of the Russian Arctic,” the journalist emphasized. A MiG-31 from the Primorye Air Regiment lands at the Centralnaya Uglovaya airfield near Vladivostok. 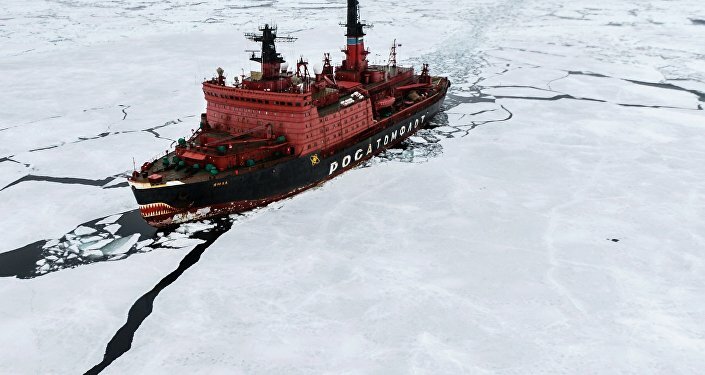 Accordingly, with US planners well-aware of the Russian military’s ability to rebuff them in the Arctic, Sokyrko suggested that it was only logical to ask just what it was they were doing there. Amid NATO’s buildup along Russia’s borders, including in the Arctic region, Moscow is stepping up efforts to strengthen its northern defense. Moreover, in addition to the Navy and Aerospace Defense Forces, the Arctic’s defense is increasingly coming to depend on troops from the ground forces – serving under extremely harsh climactic conditions. For a long time, the journalist recalled, “the only infantry unit in the entire Russian North was the 200th Motorized Rifle Brigade at Pechenga, Murmansk Region. That unit was established in 1997 on the basis of the old Soviet 131st Motorized Rifle Division…It’s obvious that a single brigade for the defense of territory including the entire Kola Peninsula and Chukotka was, to put it mildly, insufficient, but it’s good that it was least was preserved in the 90s,” a very difficult period for the country and its defense capabilities. Today, Polevoy explained, “times have changed. The country began to revive, and our foreign partners, having already buried Russia mentally, got nervous and started increasing their military activity.”Most recently, the government of NATO member Norway announced a defense spending bonanza, aimed at heavily modernizing all three branches of their military. Meanwhile, earlier this year, the US mulled placing a powerful new radar complex in the country, on top of the one they already have, and aimed primarily at spying on Russia. In light of the changing conditions, Moscow found it necessary not only to ensure coastal defense, but to create a mobile force capable of reacting anywhere in the Russian Arctic. The Norwegian Special Force ‘Rangers’, meanwhile, have been specially honed for action in the Arctic. “Recently, Oslo announced the creation of a new unit of special forces practically on the border with Russia. Against the background of a total re-equipment and modernization of the Norwegian Armed Forces, this does not sound very promising,” the journalist suggested. Effectively, according to Polevoy, these ‘restless neighbors’ mean new demands for the defense of the Russian Arctic. Therefore, “although they are nominally listed as motorized infantry, given the conditions of service and the potential threats they face, they perform specialized tasks” normally given to elite Spetsnaz (Special Purpose Military Units) forces. 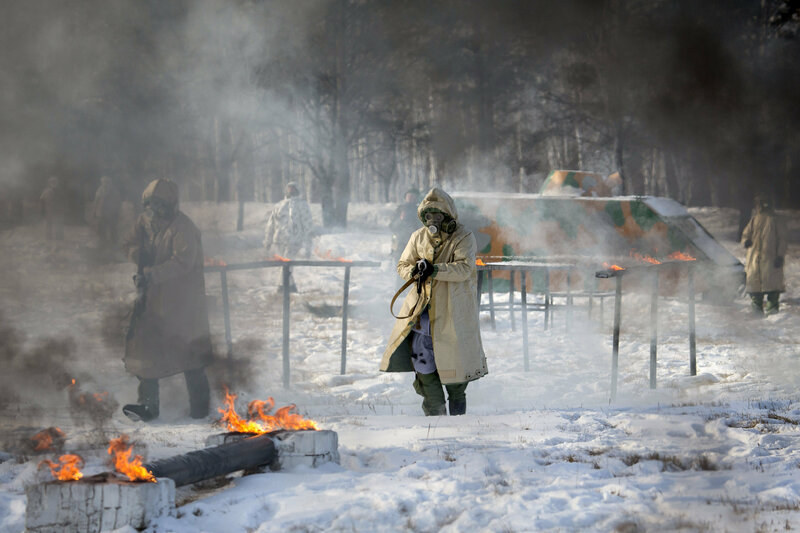 Arctic mechanised infantry company of the Far Eastern Command College (DVOKU) during a range exercise in the Amur region. MOSCOW, June 8. /TASS/. Russia’s Rubin Design Bureau is developing a preliminary design of unmanned submersibles to support construction and operation of drilling facilities in the Arctic Region, General Designer of Rubin Igor Vilnit told TASS on Wednesday. These vehicles will be part of under-ice and subsea drilling system, Vilnit said. “Subsea vehicles developed as part of the project are planned to perform exploration and survey work on the soil and in depth of the ocean as required during the drilling facility construction and will support safety during its operation,” he added. “An integrated robotized system intended for security of lengthy sea areas and continental shelf areas is at the proactive development phase,” Vilnit said. Russia plans to tap Arctic fields using marine robots, Deputy Prime Minister Dmitry Rogozin said earlier. ST.PETERSBURG, December 7. /TASS/. 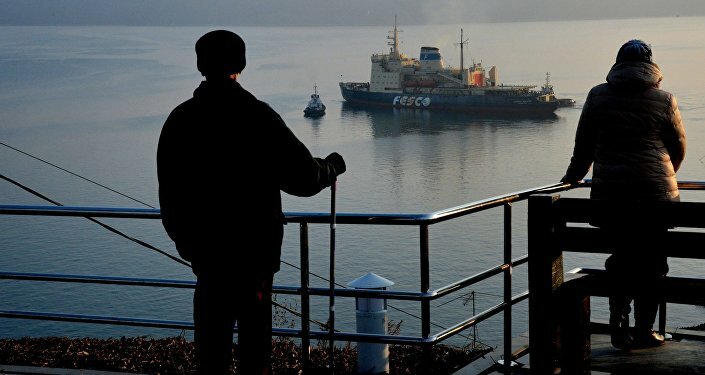 The restoration of military infrastructure in the Arctic is intended to ensure security and create calm conditions for people, and is not aimed at militarization, Russian Deputy Prime Minister Dmitry Rogozin said on Monday.